Home > Stickers > Custom is rated 4.4 out of 5 by 47. Custom sticker printing is easy with these options. Rated 5 out of 5 by marstl from Custom Stickers Purchased last week. Worked great for what I needed. Rated 5 out of 5 by Binge Entertainment from Stickers look great! Bought these for my entertainment company, they were shipped fast and they look and work perfect. couldn't ask for more from a sticker. Rated 5 out of 5 by Emmylou from Great result! I love the result of my stickers. They are great quality and will work perfectly for my business! Custom sticker printing is a mainstay of business promotions and marketing. Stickers immediately convey your company’s branding to potential and interested customers. Give away individually cut stickers and use the roll to quickly label product packaging. 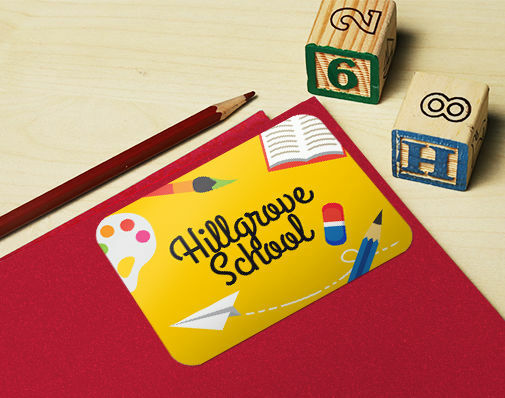 Create your custom sticker design using a company logo or with a creative spin within our wide range of size options and four standard shapes. 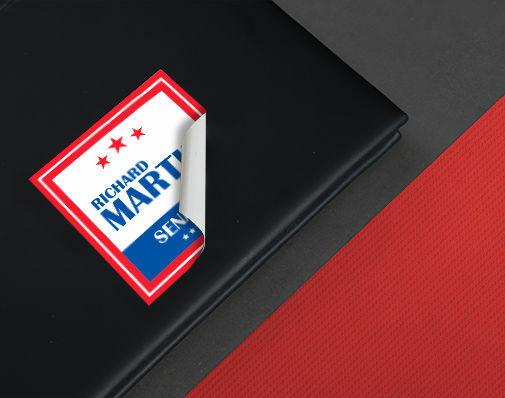 Combining the right size and shape will give customers a personalized sticker they’ll want to place on their laptops, guitars, and other surfaces. All stickers are printed on durable material. Vinyl paper is weather and scratch resistant. Roll stickers can be printed on oil and water-resistant materials such as white, metallic, and clear BOPP. White BOPP provides a solid white background, metallic the same appearance as foil at a cheaper price, while clear offers a transparent look for bottles and jars. You can also highlight displayed store items with the indoor friendly white sticker paper. Matte coating has a smooth, subdued finish, while gloss makes colors shinier with an extra pop. You can also print custom stickers on the water-resistant, extra shiny high gloss UV coating. Fill out our order form to start custom sticker printing today. You can easily create custom stickers using our online tool or upload a ready-made file. Our print experts are available to answer any questions. Need inspiration on branding ideas? 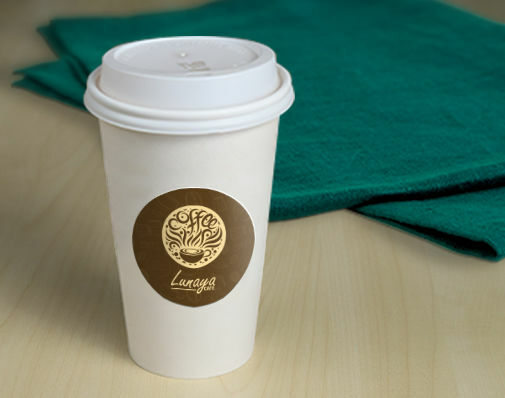 Find out how this coffee shop used custom stickers. If I need a large order, should I order roll or cut-to-size stickers? We recommend the roll stickers for large quantity orders. Roll stickers are easier to apply quickly whether done manually or using a label dispenser. 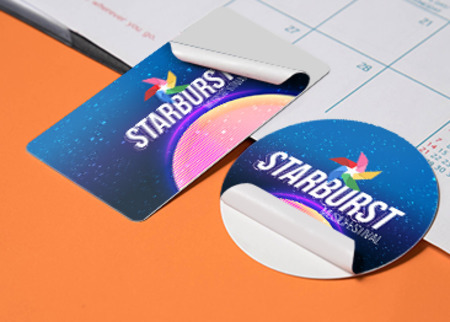 Cut-to-size stickers are more suitable for small orders starting at 25 pieces, letting you hand them out easily or insert them in your packages. What does the turnaround time indicate? Turnaround represents the number of days required to print your job. It does not include shipping time or direct mail processing time. All turnaround times are based on business days and exclude national holidays. Read our detailed explanation of our turnaround options. What is the difference between matte, gloss, and high gloss? Matte coating has a smooth surface and provides a sophisticated but subdued tone to your colors. Gloss gadds vibrancy to every color and makes images pop in a design. High gloss UV provides the ultimate glossiness and high reflectivity. Out of all the coatings, this can withstand frequent handling. What is the difference between the BOPP materials and white sticker paper? BOPP materials (clear, white, and metallic plastics) are used on items such as beer, water, and wine bottles. These are all used indoors on items that require refrigeration, making them water- and oil-resistant. None of them can be written on using a standard marker or pen. White sticker paper is used for indoor products that won’t be exposed to water or other outdoor elements. This material is also not writable. Both paper and BOPP materials come with either gloss or matte laminate. 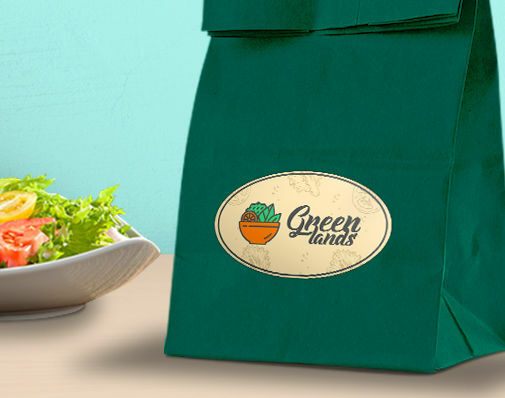 Print custom stickers in four shapes that fit your product’s packaging or serve as corporate gifts to clients and employees. Find out how you can utilize each of our available shapes. Go for this shape if you need precisely angled corners for a statement sticker or your logo’s design. This is also usually used on bumper sticker designs. A safe and sure choice for logos and designs in the standard square shape. Square stickers are also easy to place on both small, medium, and large sized surfaces. This shape’s lack of sharp edges makes your sticker stand out in a sea of square and rectangle prints. You can also customize your circle custom sticker according to your preferred size and design specifications. Like rectangle stickers, the oval shape is suited for classic text logos or statement designs. But their shape also makes them compatible as product labels and marketing stickers. We also offer a custom trim with no extra cost. You can customize the trim according to your preferred size and have the edges as rounded corners. Start creating custom stickers with us today.